Please note that you can purchase only 1 Pack of the same value for 1 Wind of Luck: Arena account. Refund is not provided if you purchase 2 different packs, which include the same ship or you already have the ship from the pack! 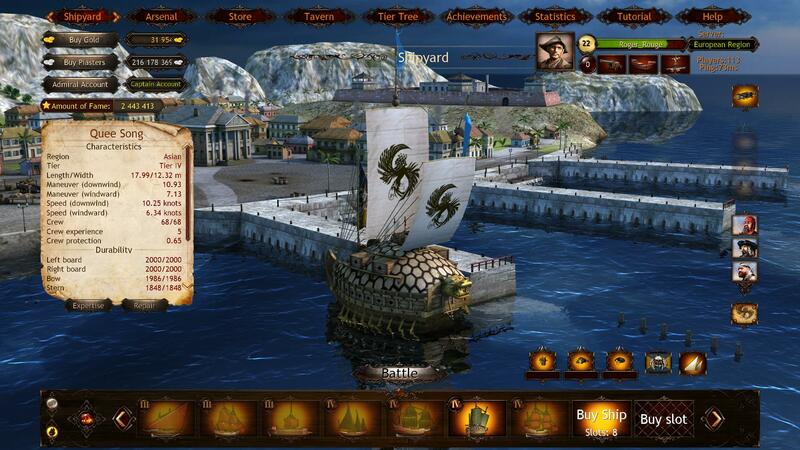 • Famous ship of Asian Region, Quee Song along with a free ship slot on shipyard. 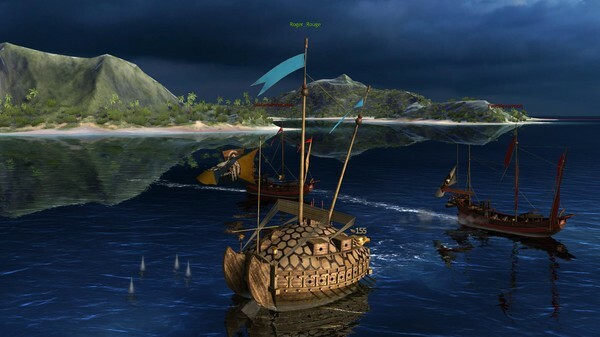 Unique Korean ship of 15th century, Quee Song is originated from a concept designed by ancient hero of Korea, admiral Yi Sun-sin, who decided to cover ship’s deck with bullet and arrow-proof roofs, making crew almost invulnerable for enemy fire. With combined oars and sails power, it is mostly unrestricted by wind, as primary propulsion power for this small beauty comes from its oars. In terms of firepower, Quee Song really shines – it can fit 17 light cannons, 8 on each board and 1 facing forward, from the mouth of dragon head. What’s special about Quee Song is that you can hire up to 3 different specialists. 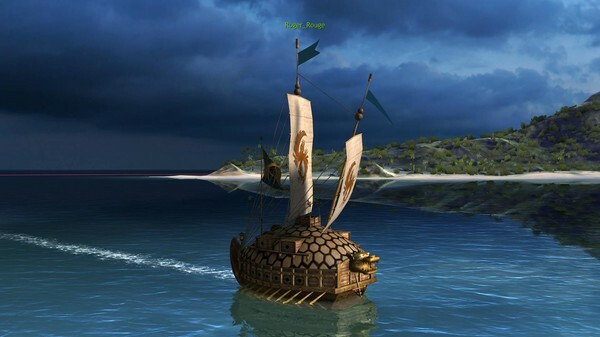 Admiral account is purchasable for Gold. It allows you to get 50% more Fame, Expertise points and Piastres for each battle. Bonuses of having Admiral account and famous ship multiply, i.e. you will be able to earn 87,5 % more Piastres and Fame points for each battle! 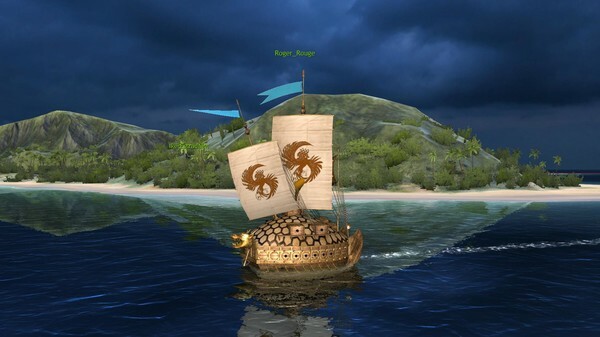 Wind of Luck: Arena is a session-based team multiplayer online game dedicated to naval battles of the age of sail warships. It's a unique opportunity to feel like a true pirate captain in the midst of a furious seafight offensive!